Throughout this season people have said the Heat are shoulders above the rest and can’t be beaten. Me and my partners, Kenton13 ( http://wp.me/p33YLP-71) and AllenRmon ( http://wp.me/p33YLP-5A) are here to debate that claim. 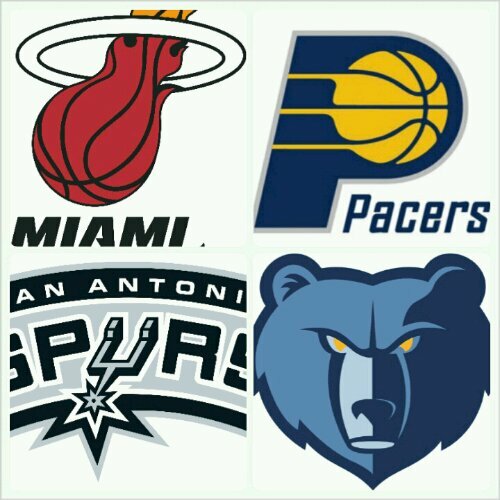 Can Memphis, San Antonio or Indiana beat the Heat? Yes. I think that either team could, but I feel like the Spurs have the best shot because they can score. Ryan: I understand that, but i feel like Memphis has a better shot because of their defense and the bigs they have downlow. R’Mon: NO!!!! When the Heat are on their game and playing their pressure defense, they are virtually unstoppable. Not to mention they have the best player in the world (just a thought). Kenton: When anyone of these teams are on their game, they’re hard to beat! Ryan: Fair enough, but Chicago did provide a minor blueprint on how to beat the Heat! R’mon: Not really they eventually got beat at their own game. Miami can get physical too! Kenton: Miami physical? I find that comical. Miami doesn’t like getting roughed up. With Zach Randolph and Marc Gasol under the basket Miami might not be able to handle it. Ryan: Miami can get physical. Just not as much as Memphis or Indiana. R’mon: Didn’t they handle it last year for two straight rounds against two physical teams, (Celtics and Pacers?) So you guys are factually incorrect. Sounds like a bunch of foolishness to me. Kenton: But the Heat haven’t played big men like Randolph, Gasol and Duncan before. Big men who can go out there and get it for themselves. Ryan: Honestly if Miami struggled with Noah and Boozer (laughs,) David West and Roy Hibbert are going to abuse them. R’mon: Yes, but at the end of the day they will have a hard time defending Miami as well. Kenton: True, it’s going to be hard for a team to beat the Heat, but I think it’s a possibility that someone can. Ryan: All in all Miami can be beaten. It’s just a matter of will Indiana an Memphis stay true to their game when matched up against Miami. San Antonio plays too fast which would be disastrous in a series against the Heat. R’mon: Well I don’t think anybody can I just can’t see it.